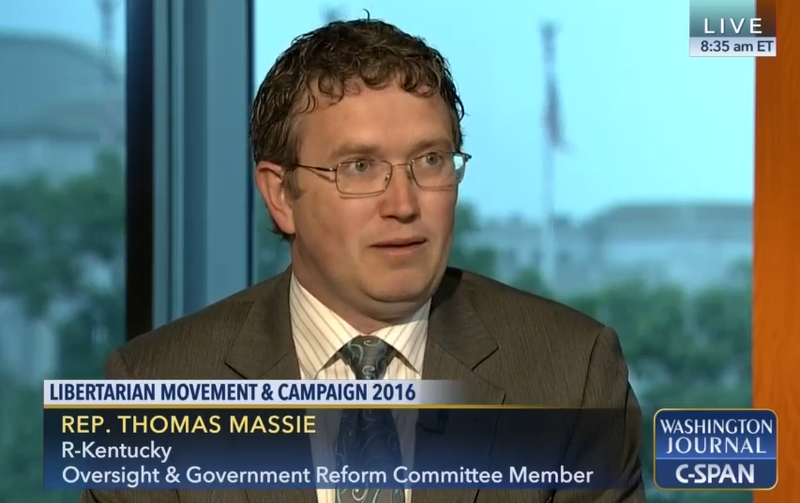 Congressman Thomas Massie, one of Capitol Hill’s leading advocates for the declassification of 28 pages said to link 9/11 to Saudi Arabia, used an appearance on CSPAN to make the case that releasing the pages would make Americans safer. “I think keeping it secret jeopardizes national security,” Massie told CSPAN’s Greta Brawner on Wednesday. The Kentucky congressman argued that hiding critical facts about the 9/11 attacks prevents the American people and their representatives from fully understanding the terror threat and adopting the right policies to counter it. Massie decried the lack of professional curiosity his fellow legislators have demonstrated where the 28 pages are concerned. “Frankly, most of my colleagues haven’t even read them. We are debating the National Defense Authorization Act this week which has policy implications for the Middle East. People voting on the NDAA this week have not read (the 28 pages), yet they’re crafting policy ostensibly to prevent another 9/11. Well, if you don’t know what caused the first 9/11, how are you going to prevent another one? So I think the argument about national security is an argument to release the 28 pages,” he said. On Saturday, The Hill’s Julian Hattem reported that the congressional intelligence committees have seen a notable uptick in requests to read the 28 pages after an April 60 Minutes report thrust the topic into the national spotlight. Since the 114th Congress convened in January 2015, 72 members have requested to read the pages. While that’s nearly triple the number who requested to read in the 113th Congress, it’s still low enough to confirm Massie’s claim that most of his peers are casting life-and-death national security votes in a fog of willful ignorance. Earlier this week, the Senate passed the Justice Against Sponsors of Terror Act (JASTA), which would amend the Foreign Sovereign Immunities Act to enable 9/11 family members and victims to sue the Kingdom of Saudi Arabia for its alleged role in supporting the hijackers. The measure now goes to the House of Representatives. On Thursday, in an interview on RT America, Rep. Rick Nolan said the experience of reading the 28 pages made him “much more” supportive of JASTA and enabling 9/11 victims to sue those who enabled the attacks. Massie said he’s often asked why he doesn’t simply read the 28 pages on the floor of the House under the protection of the Constitution’s Speech or Debate Clause. “I don’t have a copy of it and they don’t let me take my cell phone (into the secure facility that houses the 28 pages)—and by the way, if I read it on the floor of the House they’ll never give me a secret document again,” he said.